The organisation is brilliantly managed and does some incredible and inspiring things. As well as the magazine, they also have programs specifically designed for disadvantaged women and community sporting initiatives, amongst other programs. All of these programs have one main purpose, to help people help themselves. Vendors selling The Big Issue magazine for example earn half the profit of each sale. This helps them pay rent and be self sufficient. 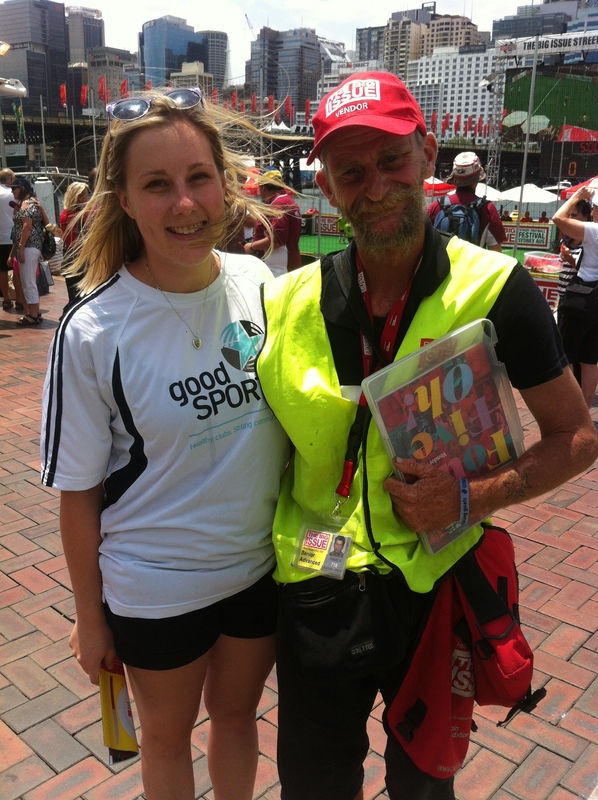 I met some vendors that work for The Big Issue. Great guys, each of them with a killer sense of humour despite having experienced some awful situations. They have great attitudes and keep positive even though they’re often ignored by the general public on a daily basis. The vendors are amazing people who get a lot out of having their job and appreciate the opportunity to talk to you. You don’t know someones story just by looking at them so don’t be so quick to judge. And feel privileged if you’re in a job and have had the education and upbringing to get you there (I’m talking to myself here, too). Instead of turning a blind eye, let’s aim to give them some of our time. Have a chat to the next vendor you see on the street and ask them how their day is going. Buy a magazine too, it’s a great read! Volunteer, donate or say hi to a Big Issue vendor or anyone else you see. Smile to randoms. Say thank you to the guy at 7-Eleven. Ask your barista how they’re going. Who cares if they think you’re crazy, it might just make all the difference in the world. This entry was posted in Learning Adventures and tagged homeless, street soccer, the big issue. Bookmark the permalink. The Big Issue is exactly that – a Big Issue. I love connecting with Graham at my local organic farmers market every Sunday. A bright young man with a ready smile, burning brown eyes, flowing red hair and an assortment of bandanas and hats. You are so right – books and covers! We are all connected, we are all one. Just delightful to see you again last Sunday, thank you for making and taking the time.